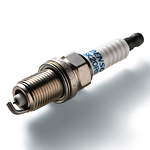 The ignition plays an important role in starting your car each day. But how do you know if the starter is the problem? 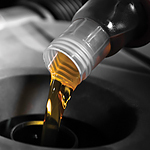 Here are some signs to look out for when you have issues starting your car. If you start to hear a whining noise when trying to start the engine, this could mean that the starter needs to be replaced. What happens in some cases is that the starter gear and flywheel aren’t connecting with one another. Even with a flat tire, you can ride the rim to get the vehicle off the road and out of the way of traffic. Once in a safe spot, make sure the vehicle is in park with the parking brake engaged. Loosen all the lugs on the flat tire but don't remove them. Raise the vehicle with the jack high enough so the tire clears the road. Taking a more proactive approach to the health of the car tires can have a big impact on reducing the chances of a tire blowout. It only takes the pressure in the car tire to drop a pound or more for that to increase the chances of a tire blowout. Usually, newer cars have a tire pressure monitoring system on board to assist with identifying issues with low pressure, but you can also use a regular tire gauge to check for issues weekly too. Roadside Emergency Kits - What Do You Need? Roadside emergency kits are something we hear about and think they’d be a good idea, but seldom take the time to assemble. Are you one of those individuals? Not to worry! Stop at Steingold Volvo Cars and let us give you a hand. We have a full selection of supplies and can help you out. Roadside emergency kits should include the basic emergency supplies. These might mean different things depending on your climate, but you can’t go wrong with water, first aid supplies, batteries, flashlights and jumper cables. Why Should You Choose Washer Fluid Over Water This Spring? Here at Steingold Volvo Cars, we know that finding the time to bring your car in for maintenance can often be a difficult task. You have responsibilities to keep up with in the Pawtucket, RI region. However, you should never make the error of filling up your windshield washer reservoir with water. Why is this such a big mistake? Water can have a negative effect on your overall visibility. While washer fluid contains solvents to get rid of that grime and dead insects that clutter your windshield, water just spreads them around. Are You Noticing Issues With Your Exhaust System? As a driver, it is important to be aware of the things that decrease the safety and performance of your vehicle is when it is running. One of these things is a leak in your vehicles exhaust system. This can pose a severe health risk, even death, as well as a significant drop in vehicle efficiency. There are signs to look for when determining an exhaust leak. One is a hissing and popping sound that occurs when your vehicle is running. This is often followed by burns near the exhaust ports and on the spark plug wires. What do Your Tire Pressure Icon Lights Mean? Have you noticed your tire pressure coming on lately? If you have tried to fill your tires and found that they continue to go flat, then you may have an issue that requires a patch or new tires. However, there are a few reasons why your tire pressure light may come on even if you do not have a flight. Most tire pressure warnings are meant to alert you to pressure that is dropping in your tires.